Kelly Pfaffenberger joined CCGD in 2009 as Women’s Youth Chorus conductor. She is currently the choral director at Creekview High School. During her tenure, the A Cappella Women’s Chorus was chosen as a featured choir for the 2002 Southwestern Division Convention of ACDA. For fifteen years, Ms. Pfaffenberger had been a choral music educator in the Richardson, Plano, and Carrollton/Farmers Branch school districts where her choirs consistently received Sweepstakes ratings at UIL Contests and “Best in Class” distinction from festivals across the country. Mrs. Pfaffenberger has served as an adjunct professor in the music education department of SMU. She also serves as Director of Music Ministries for First Baptist Church, Farmers Branch, TX. She is an active accompanist for choral programs in the metroplex area and frequently serves as an adjudicator and clinician. Mrs. Pfaffenberger earned the Bachelor of Music Education from Hardin-Simmons University and a Master of Music in choral conducting from the University of North Texas. During her studies at UNT, she served as the director of the UNT Men’s Choir and the UNT Women’s Chorus. 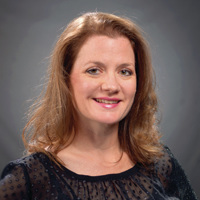 Her professional affiliations include: Texas Music Educators Association; American Choral Directors Association; Texas Choral Directors Association; and the honorary fraternity, Pi Kappa Lambda.